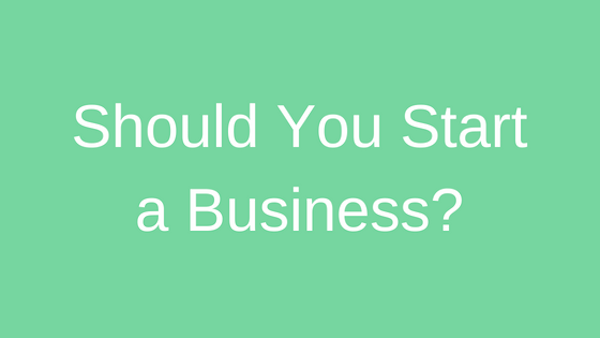 Should You Start Your Own Business Now? There are many therapists who are thinking about starting their own business. Others are trying to grow their practice to the next level. Have you ever watched an America’s Got Talent contestant’s shock and dismay when he or she is told that they are not moving on to the next round? Even when it’s evident to everyone but them that they don’t have what it takes to be a professional singer. He or she is devastated or freaks out convinced that the judges have made a colossal mistake. When in reality it’s the other way around. Even when a talented contestant, like our hometown school teacher Hannah Huston, makes it to the final round of America Idol. That initial success doesn’t instantly qualify the star to turn their talent into a successful career. There’s a lot more to the business of a being a successful performer than just being a good singer. The talent show experience is similar to therapists journey who want to go into business for themselves. There’s a lot more to it than being an excellent therapist and spending quality time with patients. Recent grads are seeking other sources of income to make ends meet and pay off massive student debts. The stories of Internet millionaires tempts money-strapped therapists to experiment with side hustles to improve their cash flows. Only to discover that starting your own business is not as easy as the ebook or course makes it seem and the main people making money on the Internet are people promising to help people make money on the Internet. I get it. I’d be vulnerable to the empty promises of passive income too if I were facing 20 years of monthly payments to pay off $70,000 to $100,000 or more of school loans. Working a side gig to pay off loans is a good strategy but investing your time and money in a startup probably is not. 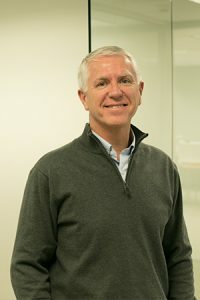 Despite the lure of freedom from the suffocating high patient volumes and regulations of traditional medicine, not everyone is cut out to be a business owner. Being a successful business owner requires initially investing your own hard earned cash, boatloads of time and energy with little or no profit in return. 1. Are you remarkably good at what you do? To make a consistent living from what you do it has to be remarkable. You can’t offer bland, run-of-the-mill therapy like everyone else and expect people to talk about you. It takes a unique blend of professional expertise and emotional intelligence to sustain a thriving practice. Do people get remarkably better from their experience with you? Be brutally honest with yourself. If the majority of your patients don’t get remarkable outcomes, then that’s the place to start. You won’t be able to generate word of mouth referrals if people aren’t impressed with your work. Unfortunately, providing exceptional care isn’t enough if you want to leave corporate therapy behind. 2. Are you good with money? With my coaching clients, I’ve found that money is an area that most therapists have difficulty “coming clean”. They tend to avoid dealing with their current financial situation and their deeply held beliefs about money. For some, the concept of service is in direct conflict with making a profit. Service is pure and good. Making a profit from someone’s misfortune is evil. But if your service business is your livelihood you are setting yourself up for an internal conflict that might take years to reconcile. In the meantime, you’ll be a starving artist trying to make a living by selflessly serving your patients. You’ll need to resolve the money struggle if you want to succeed in business. It takes money to start, grow, and to give you something to live on while your business gets off the ground. If you’re having trouble paying your bills now, it will most likely follow you into a business. Or if you’re tightfisted when it comes to taking the risk by investing in your business, you’ll never grow. Being a wise money manager is a must when it comes to working for yourself. Here’s a Forbes article on 6 Easy Ways To Tell If You Are Good With Money to see if you’re on solid footing to start a business. Being at peace with profit and knowing how much is enough is the critical qualities of people who know how to run a business. 3. Do you want to run a business? Let’s be honest. As therapists, we have chosen one of the hardest jobs around. We put ourselves out there, hour after hour, for people who are suffering or have experienced a loss. We go to continuing education courses and conferences to refine our skills far beyond what most professionals feel is required. The complexity and strain of our workloads don’t necessarily decrease with the more experienced we become, it often increases. Our workday doesn’t end when the clinic lights are shut off. We find ourselves finishing up notes or researching for a solution on our own time. Therapists adhere to strict codes of conduct to maintain our licensure and professional ethics. We put up with doing our job in one of the most highly regulated professions in healthcare. You’ll want to think twice about adding the stress and strain of running a business on top of being a healthcare professional. Many therapists dream of having their own business so they can practice the way they want. It’s admirable to want to spend the necessary time with patients. There’s entirely nothing wrong with wanting to do what you’re good at and being paid fairly for it. But that’s not why you should go into business. You should go into business because you want to run a business. Are you born for business? My father implanted and modeled my inclination towards being my own boss. It’s part of my DNA to be creative and work hard. I love the business of physical therapy just as much as I do the science and skill. Some of you might share that same passion but won’t know it until you try for yourself. Think you might have what it takes to start your own business? Are you unsure? Take this simple quiz to see how ready you are to launch a therapy practice. It’s good to face the hard truths of working your tush off to get an enterprise off the ground and being the CEO/CFO/COO of your business while compassionately, creatively and expertly caring for your clients. So Paul, what does one do when they want to escape the conventional PT delivery model but may not be cut out to ‘run a business’ ? Sean, good to hear from you. You help us face the cold, hard facts that not everyone is meant to run their own business. Knowing your heart and circumstances, if there still the same, this is what I’d suggest. Keep working where you’re at and focus on personal and professional growth, saving at least 20% the money you make every year. (that’s the hard part) Then, with your free time and energy, find on a side gig to express your true self. (whatever time you can manage) You won’t feel the pressure of making your creative, compassionate endeavor pay the bills. But it will provide you the freedom for exploration and growth. They’ll be times when you won’t feel like you’re making any headway (that’s why you save the 20%) There will come a season when life isn’t as busy and bills not quite so many when you can shift your focus to what you feel is your vocation.